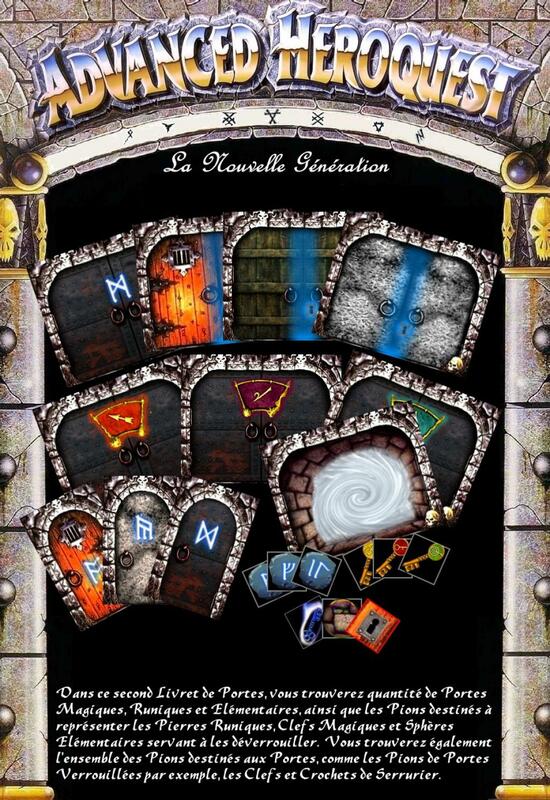 In this second Booklet of Doors, you'll find all what is necessary to include Magical Doors, Runic Doors and Doors locked with Elemental Forces in your games of Heroquest, Advanced Heroquest and, why not, Warhammer Quest. You'll find some counters of Keys, Magical Keys, Runic Stones and so on to make a hard way to your Hero in your darkest dungeons ! Be sure to have photo paper in A4 format for a better result in printing this booklet.